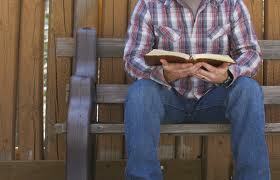 REFLECT: How do the people react to the public reading of Scripture? RESPOND: Count how many copies of the Bible are in your house. Then, read the equivalent number of chapters from any book of the Bible of your choice. "And Ezra opened the book in the sight of all the people, for he was above all the people, and as he opened it all the people stood."